There are times when you are going away with kids, you know you are going to be out sightseeing all day and you just want a comfortable place to spend the night. You aren’t looking for somewhere with 4 star facilities, you just want budget friendly accommodation where children are welcome. 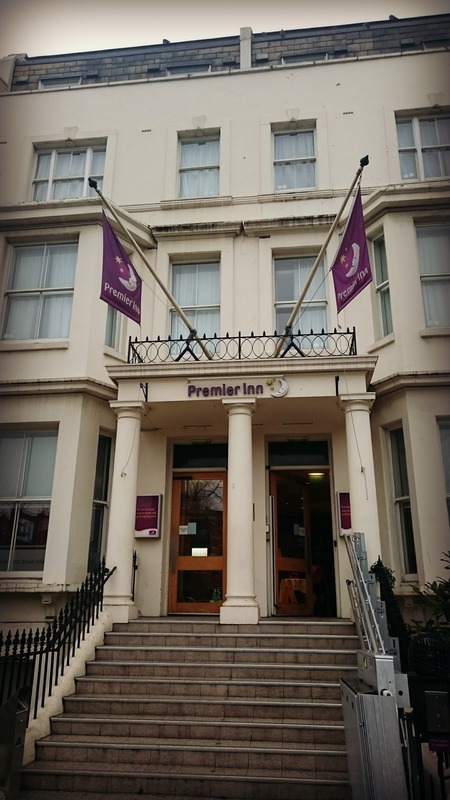 We’ve stayed twice now at the Premier Inn London Kensington Olympia. It’s a short bus hop to the museums of Kensington, the Royal Albert Hall and the Knightsbridge shops. Converted from a number of Regency style townhouses, the hotel is well located for West End attractions. 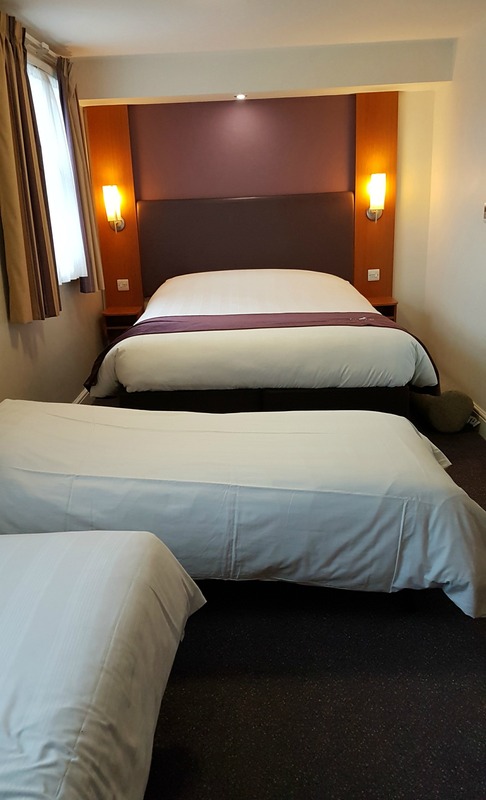 The rooms are not the newest in the Premier Inn range and are basic but comfortable. Good glazing keeps most of the outside noise out, even if on the main road side and the famous Hypnos beds guarantee a good night’s sleep, or your money back. The beds are now so popular that you can buy them online via the Premier Inn website, now that is one heck of a holiday impulse purchase! The hotel has air conditioning. If you’ve ever stayed in a Premier Inn without it then you, like me, will be frantically checking the website for the snowflake symbol before you book. There is no car parking on site but in a nearby car park. Both times we stayed we travelled by train as the Hotel is only 15 mins on the tube from Paddington, so we haven’t tried the parking. We share a family room and have had a different room layout each time. Rooms here are more spacious than at some Premier Inns and we weren’t clambering over each other’s beds. 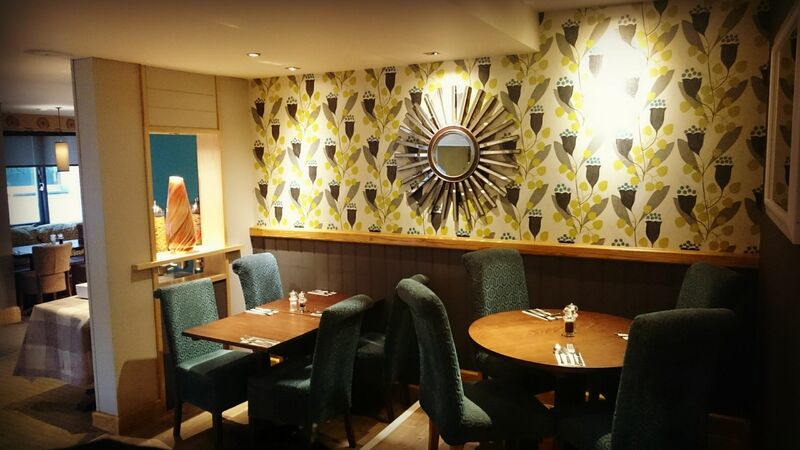 Downstairs is a bar area, should you fancy a sharpener or nightcap, and the restaurant where the ever-popular Premier Inn breakfasts are served. Children eat free at Premier Inn breakfasts and my children sure do love the opportunity to have whatever they want, but why did they get rid of the chocolate chip muffins (RIP)? 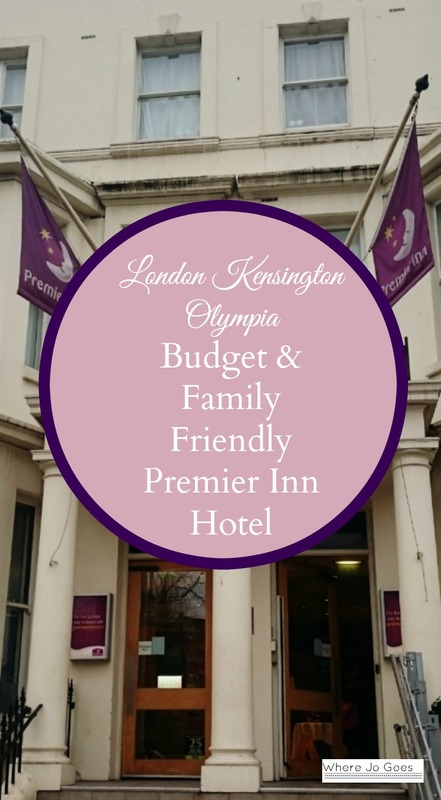 For a budget base close to all the museums and London’s West End, if you don’t mind sharing a room with the kids and are looking for a value rather than a luxury option, Premier Inn London Kensington Olympia fits the bill. If you end up buying a bed, don’t blame me! This post is in no way endorsed or sponsored by any of the organisations mentioned. All words, pictures, hotel-staying and bed-buying are the work of the author. am trying to find things to enhance my website!I suppose its good enough to use a few of your ideas! !